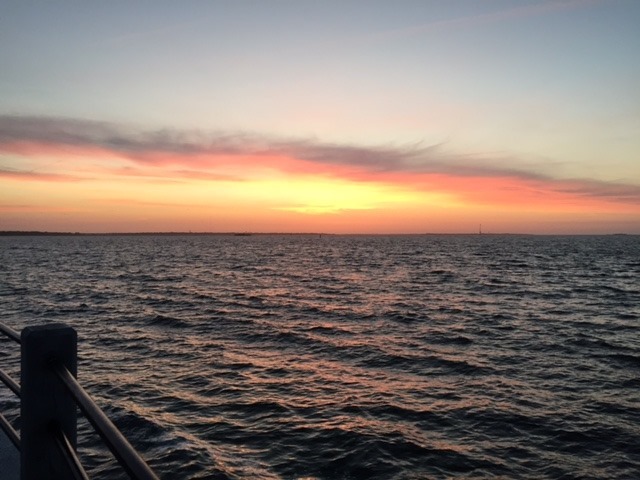 A Matter of Healing Thru Rest, Strength Training & Healthy Eating …. I’m in a lull between The Go! 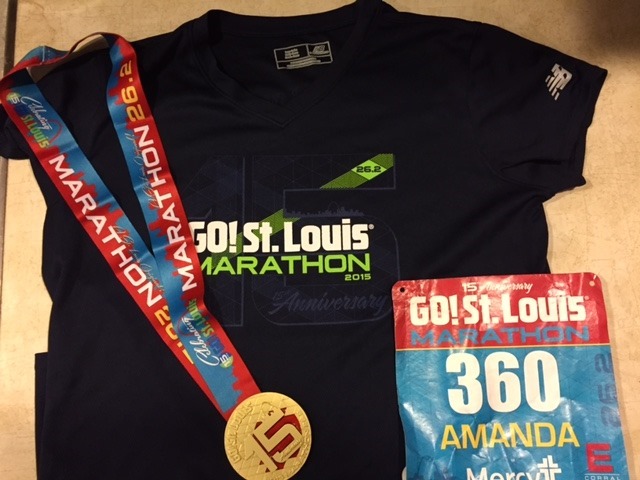 St. Louis Marathon and the Pittsburgh Marathon. Three weeks between the two races. The timing was a strategic calculation to allow my body to heal up a bit from St Louis. It was a good call. But with this being Boston Marathon week, I’m just restless. I want to run. I want to run fast. But alas my chiro body says, NO! So I’ll just keep thinking about running fast and well, doing what I’ve been doing …. taking care of myself, eating well, stretching, strength training and running easy. But I can certainly think about running fast, right? I’ve reset my Run Less Run Faster app and am ready to go with some targeted workouts once I get the green light. I certainly don’t want to backslide and aggravate the Plantar Fasciitis DEVIL who is currently napping. He certainly hasn’t left but I’m feeling better each and every day thanks to a lot of torture over the last 4 months from my new Chiro. So far, this year has consisted of rest, a lot of strength training and a little running. 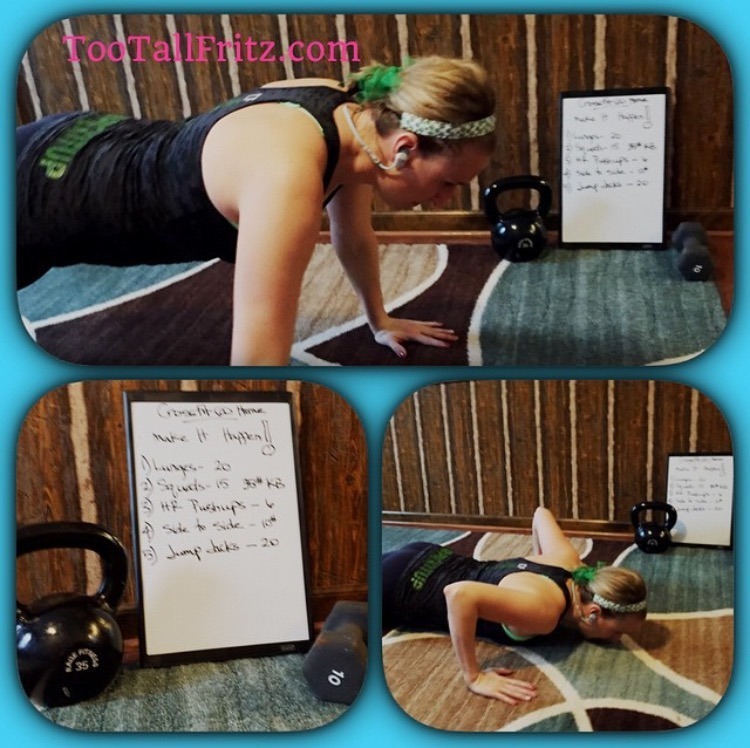 There have been a lot of kettlebell swings, hand release push-ups, squats, lunges, weighted sit-ups, knees to chest, ab baskets, side to sides and short bursts of strength workouts both in and out of the gym. All by myself. I’m really missing my 5am CF crew in IL! I also miss being able to swing a kettlebell and not have to worry about some unsuspecting gym patron rounding the corner right into my kettlebell improvised CF area. I miss having certain equipment, like rings for ring rows, a box for box jumps, a wall ball, and a weighted ball for ball slams. Yes, I actually miss those torturous things and so much more! But I’ve improvised and been good about doing a minimum of 2 strength workouts each week. Even if that means I have to skip a run to squeeze it into my day. I know that a strong body is essential not only to a healthy life but also injury free running. So strength training is a priority. In and out of the gym. I’ve also made a few changes on the food front. I’ve always been decent about my food choices but things took a turn south last year. While I normally favor fruits & veggies, my love of carbs took over and I was eating WAY too many cheese quesadillas & flavored Triscuits! I tried to balance out my carb intake with exercise. You know that never works but a carb lover can hope, right? Then I tried to decrease my carbs and up my protein. That helped temporarily but I quickly tired of protein powders/shakes/smoothies. And my body didn’t love all that protein either. Plus I was still craving those junky carbs! Then one of the books I was listening to last month (Born to Run by Chris McDougall) mentioned a change he had made that helped him control appetite and lose weight. Salads for breakfast. What? Yep, salads for breakfast. I figured it was worth a try. I bought some fresh produce, developed an obsession for kale, and started making a humongous salad every morning after I returned from the gym. I filled my salads with nutritious items, healthy fats, plant proteins and tons of veggies. Not a wimpy, “diet” salad but real food that would fill me up! Every day. Today’s salad below. 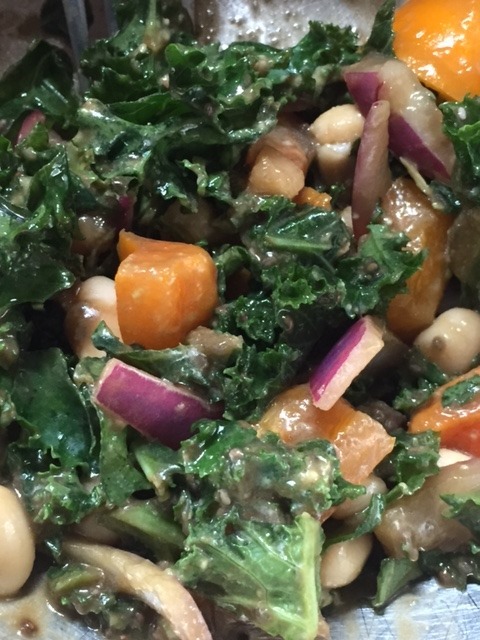 Kale, red onion, avocado, yellow pepper, northern beans, tomato, chia seeds, olive oil, balsamic vinegar & sea salt. I eat as much of my hearty salad as I want for breakfast and then put the rest in the fridge for lunch. Guess what. I’m on week 3 of salads for breakfast. And I feel good. Like really good. I can’t tell you if I’ve lost weight cuz I “Threw Out the Scales” before I started my salad for breakfast regimen. But I feel good. And my tummy is happy. And I’m full. I’ve replaced most of the cheese quesadillas with healthy carbs like baked sweet potatoes. Or in a pinch, I eat the Brown Rice Sweet Potato Triscuits. Cuz my love of Triscuits goes beyond the scales! But overall I’m pretty happy right now and feeling way better than I have in about a year. So I’ll be buying ALL THE PRODUCE and eating lots of greens with a variety of veggies going forward. I’m not a vegetarian but I’m certainly going to do some more research about food and specifically plant proteins. And most importantly, I’m going to enjoy feeling good. The point of this post isn’t to start a movement where everyone should eat salads for breakfast but rather to suggest that if you’ve been doing what your doing for a long time and it’s not working ……. maybe it’s time to try something new. Be open to change. If you are tired and run down, what type of food are you using for fuel? Exercise will always help us feel and look better but the FOOD that goes into our mouth is the main source of our energy and health. I’m trying to make sure that I’m eating what my body NEEDS rather than what it immediately wants. As a result, I want less and less of the foods that are “not so good for me”. I’m still not perfect. Never will be perfect. I mean, we have a standing order with the pizza guy for Monday nights but now we get a salad with that pizza too. If you are struggling, don’t give up. Cuz that will put you further back than where you are now. Keep fighting the fight. Change things up. Don’t’ forget to Hide the Veggies from the family and yourself in some of your favorite meals. 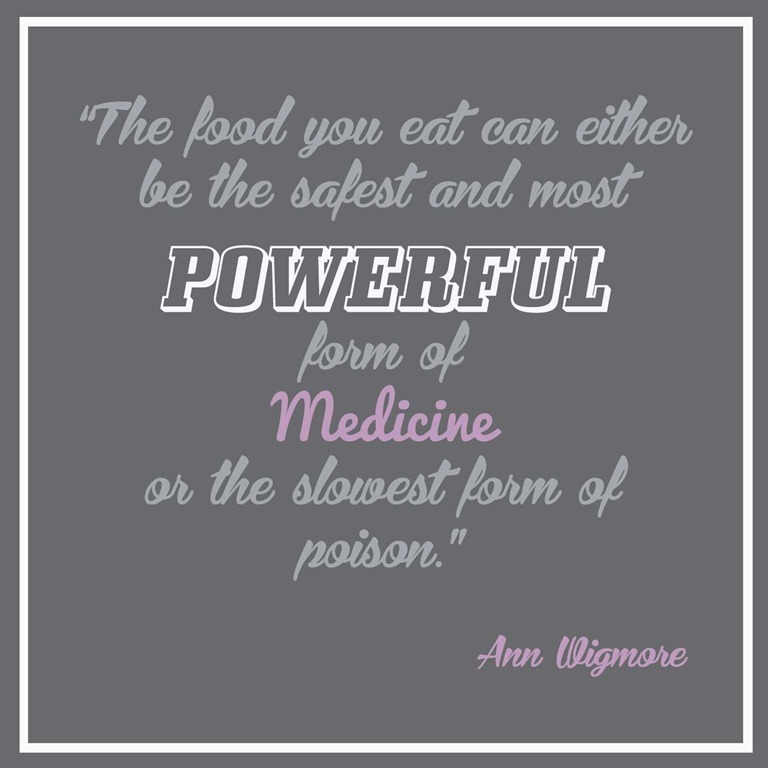 And please, try to find a way to fall in love with good, clean foods. Go! 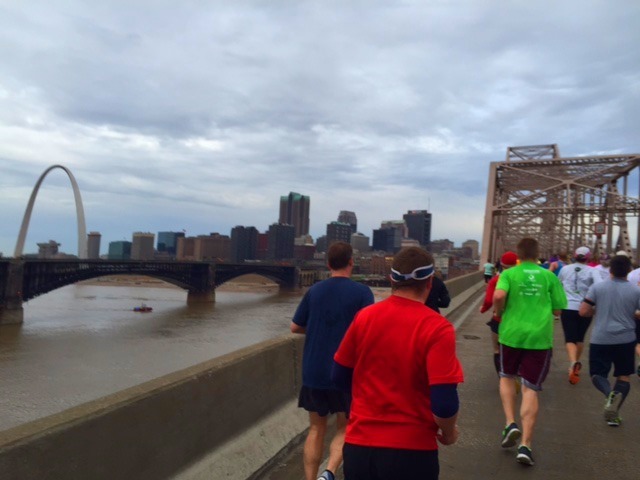 St Louis Marathon Review ….. The Go! 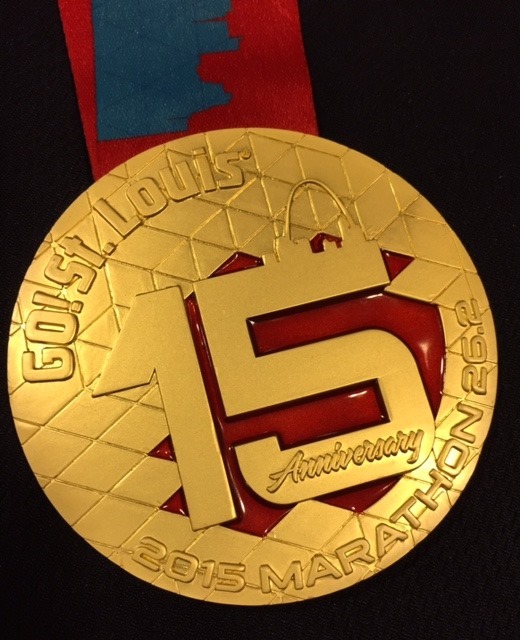 St. Louis Marathon was my first marathon of 2015. I had previously skipped the Mississippi Blues & First Light (Mobile, AL) marathons in January, plus a February marathon in Texas, all due to a nasty case of Plantar Fasciitis. So I was looking forward to St Louis and the new course which guaranteed a “flatter, faster” course. Yep, that was it, then I “tapered”, i.e. ran normal mileage until the April 12th event. This is obviously a “do as I say, not as I do” moment. That’s not a real training plan. 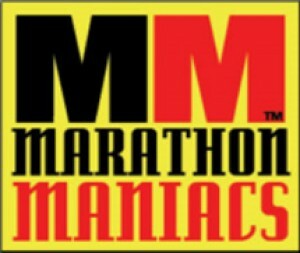 Don’t try it unless you want to cry struggle thru your marathon. I knew that this wasn’t going to be an easy race for me, I was just planning to finish it and knock another state off my list. And that I did. Success. Expo – Good location in the Chaifetz Arena which was about 1-2 miles away from most of the host hotels. Easy to get too. Lots of metered street parking. A $5 pay lot. Small, crowded expo but lots of friendly people & volunteers. 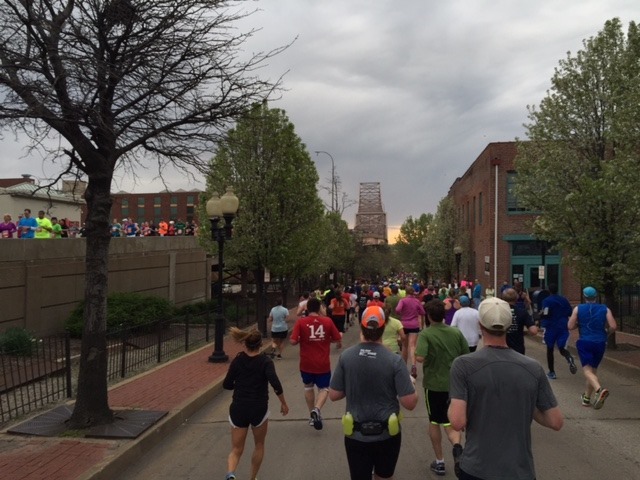 Race Day – Brought us cool temps (55 degrees) and overcast skies. Yes! Great start location on Market Street down by the Opera House. Plenty of space and well marked corrals. The view wasn’t too bad either. Race started on time and weaved thru downtown St Louis before taking us over the first bridge, where we crossed the Mississippi River into East St. Louis, IL. Short jaunt on the IL side of the river, then back over a different bridge to head back to MO. The second bridge bounced. Maybe a suspension type bridge of some sort? Regardless, it was a very odd feeling and some people even shrieked from surprise. 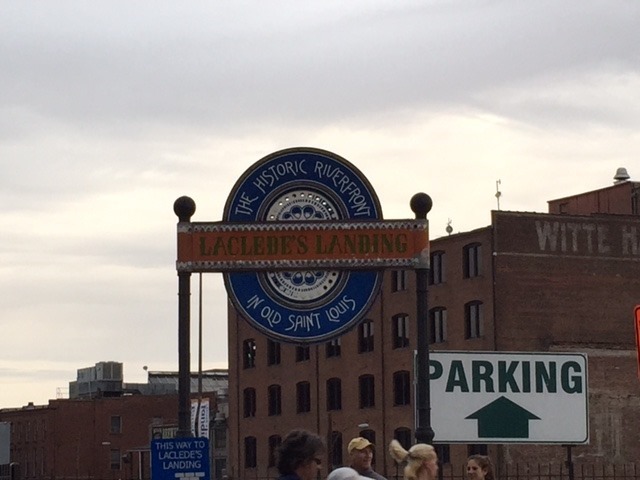 However, as soon as we were over the bridge we were headed down by the St Louis River Front via Laclede’s Landing. Ah, The Landing. The place that I heard so much about before our trip. We even had one friend warn us to just avoid it “at all costs”. But on foot, in a marathon, it’s all good. And it was a beautiful area. Flowering trees, lots of parking and restaurants/bars galore. Local rumor is that the gangs have taken over this area and I’m pretty sure that’s a true statement. There were zero spectators in the area. And there were several “young men” walking around various streets dressed exactly the same, even though they weren’t visibly together. So I’m glad I got to see The Landing in a safe environment and I hope that St Louis is able to reclaim The Landing for the residents and tourists because its worth the fight. The first half of the race was great and most of the participants called it a day with the half marathon. Go! 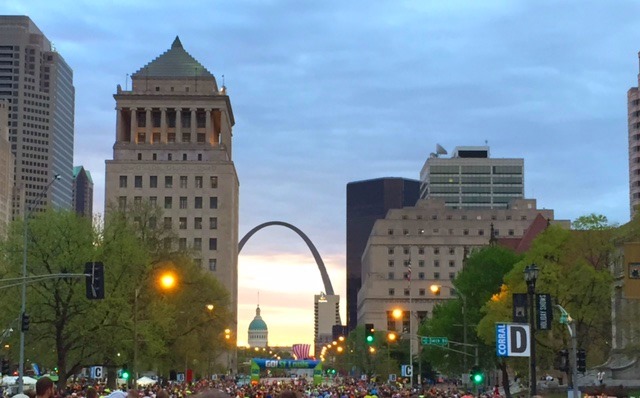 St Louis boasted a net downhill for the first half and it was a nice course with lots of historic sites. I was particularly impressed with the Budweiser campus. Neat, and clean. They even had a Clydesdale out for pics! Although that first half had a net downhill, there was a continuous grade, either up or down. I tried to stay relaxed and slow that first half because I knew the lack of mileage hills would eventually take a toll on my body. And I was right. A little “niggle” in my right knee because a major pain in my right hip. Regardless, I kept powering on, past the half, up the inclines on Market Street, up and down ramps and mini bridges, around the endless turnarounds in the middle of roads, thru Forest Park, past the Forest Park mansions (that were spectacular), and eventually back to the finish. It wasn’t pretty. But I made it. I didn’t hate it. And my foot held up well. So I’m happy. 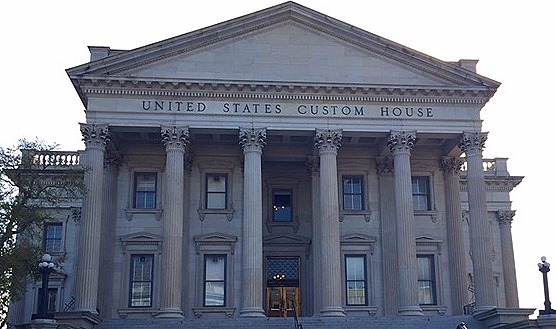 Missouri – DONE! It was a great race. Well done. 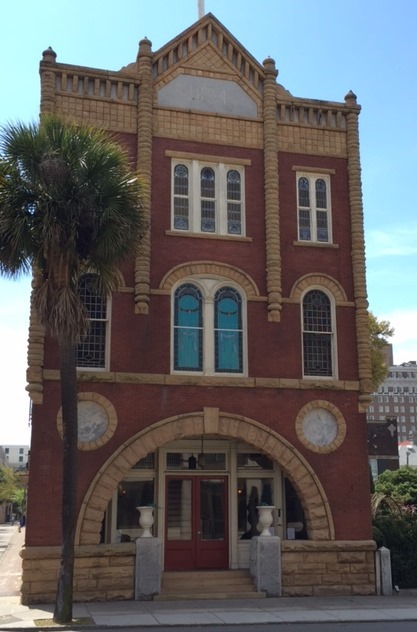 Nice town that’s working on improvement & restoring old buildings and neighborhoods. Yes, there are hills. And bridges. And ramps. And lots of pinpoint turns around orange cones in the middle of random roads. But overall, it’s a good race and one where you’ll see the peeps ahead and behind you so definitely a good one if you have friends who are also running! Hubby and I don’t travel much together. On the rare occasion when we do travel together, we do so quickly so as not to put to much burden on Grandma TooTall as she is always the one who helps with the kids & dogs in our absence. Thanks, Mom! As a result, it’s been years, probably 2 or 3, since we’ve taken a long weekend alone together. 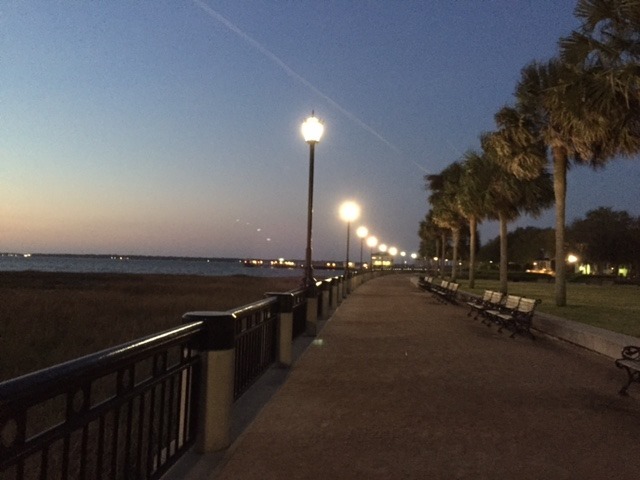 Our long weekend destination this time was Charleston, SC. Beautiful 13 hour drive (from Ft Wayne, IN). Historic town. Lovely people. Fitness oriented community. Clean. Vagrant free. Best road trip ever. I was also able to safely run both days we were in town so I was happy. On Day 1, I ran 8 miles. 4 miles out, then back. 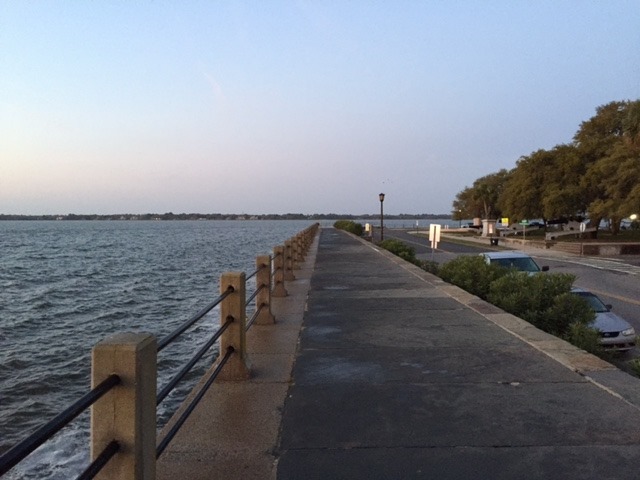 This route ran over the Ashley River Bridge, along the Chesterton Bay Marina, and down Battery Row past the amazing historic mansions, toward the fountain & waterfront park. It was “slightly” dark on my way out. The sun was coming up on my way back to the hotel. 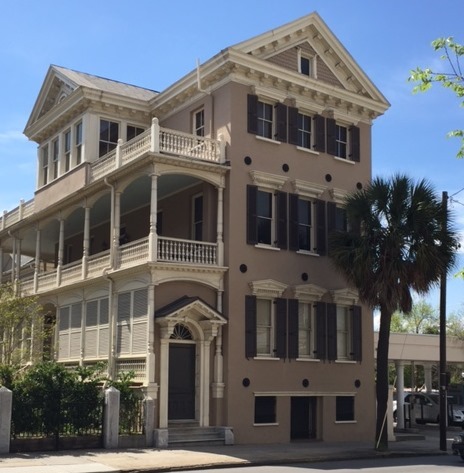 I grabbed a few more photos, including one of this mansion on Battery Row that caught my eye. 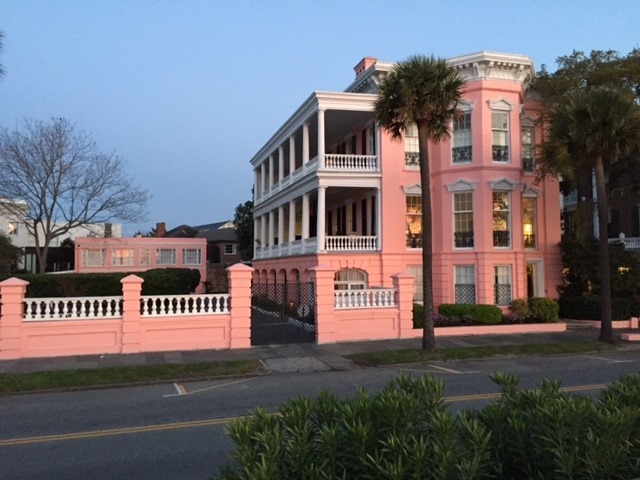 Interestingly enough, that beautiful pink mansion is for sale. And it can be yours. For upwards of seven million or so $$. If you buy this home, please let me come visit. I didn’t bother calling for a showing. Cuz we were short on time and $7,000,000. After retuning from my Day 1 run, I proceeded to take hubby on a driving tour of what I saw while running. 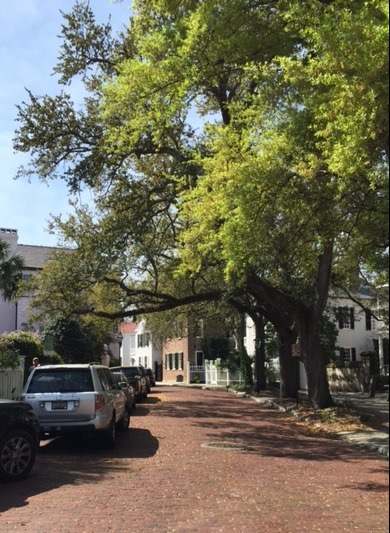 Then we spent the remainder of the day walking & touring Charleston. 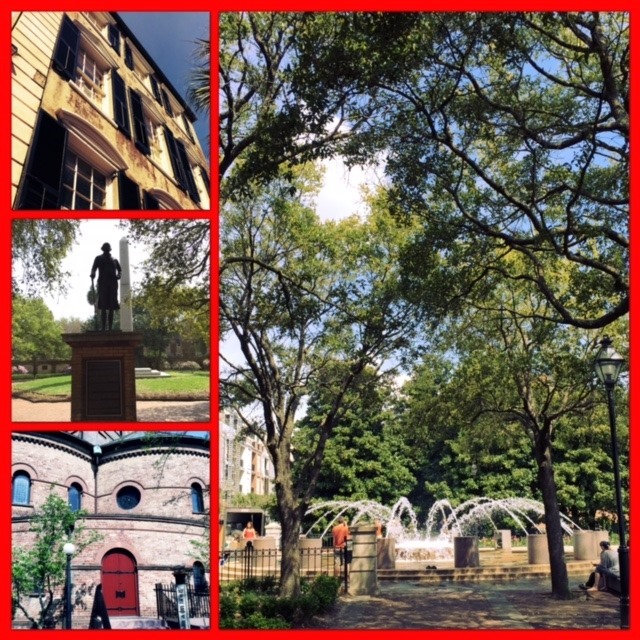 We walked 10.5 miles and saw so many historic sites, parks, brick & cobblestone roads and just drank in all the beer beauty of this small town. 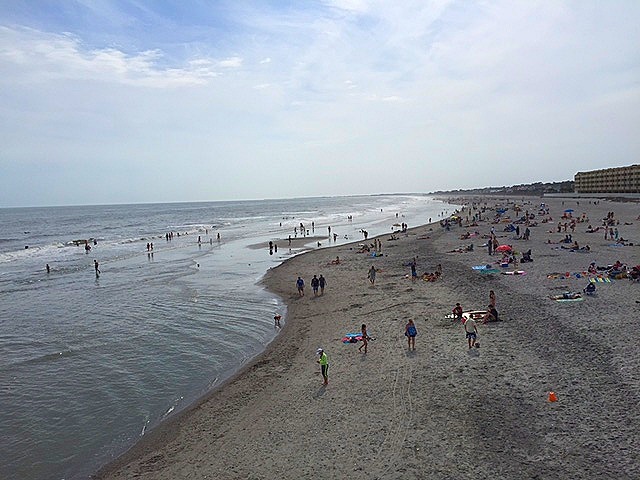 We even made a quick trip to Folly Beach to see the Atlantic Ocean. 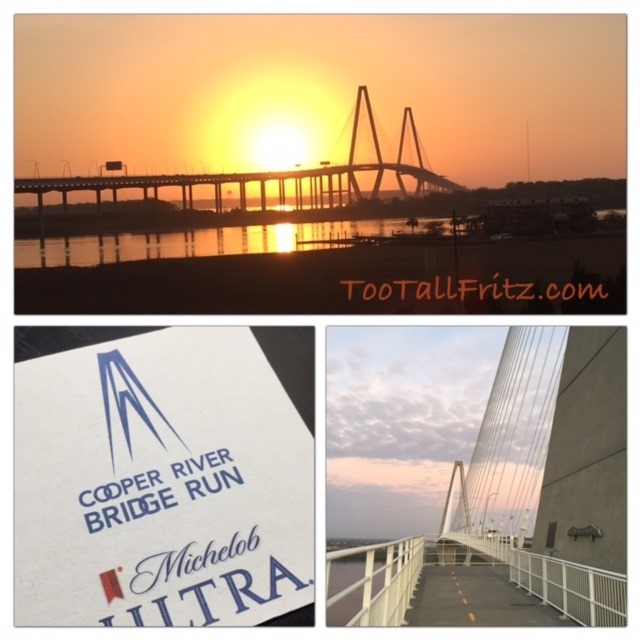 During Day 1, we saw lots of banners for the Cooper River Bridge Run. 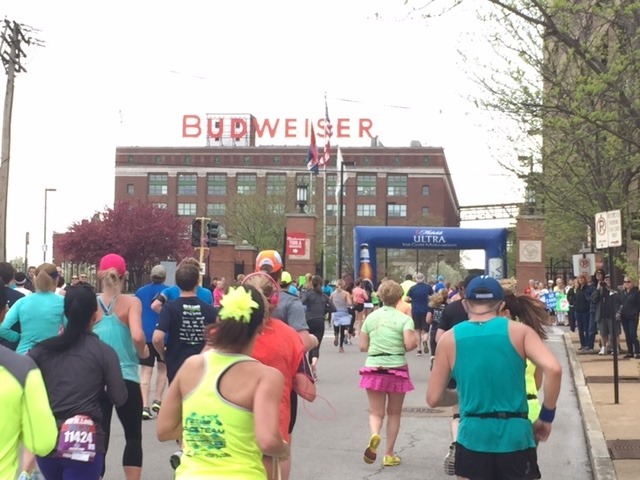 We saw a constant stream of signs, coasters & pint glasses all advertising the run. 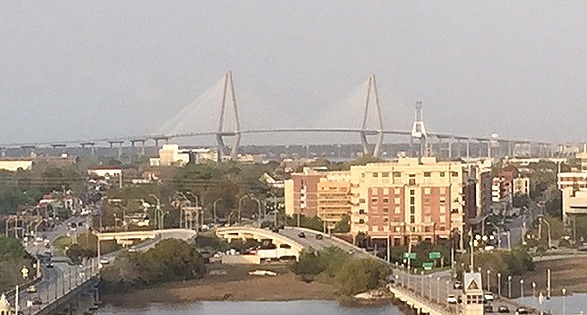 Plus the bridge was visible throughout the city and from the riverboats. 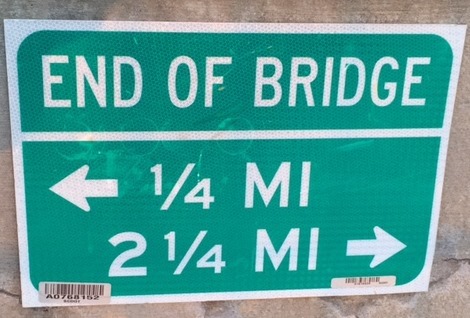 Knowing how races promote, I knew that the Bridge Run was either coming up or had just passed. It was over. 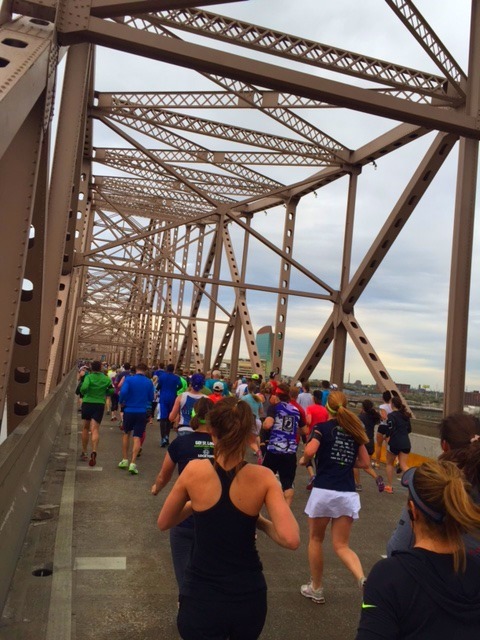 March 28, 2015 was the day of the 38th Bridge Run. We didn’t roll into town until April 1st at 9pm. But I wasn’t leaving town without running that bridge. 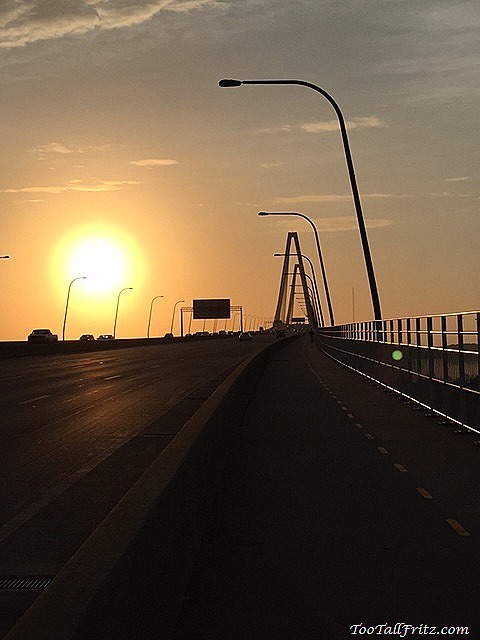 The Cooper River Bridge Run has become iconic with runners in the US. It’s currently the 3rd largest 10K in the US. 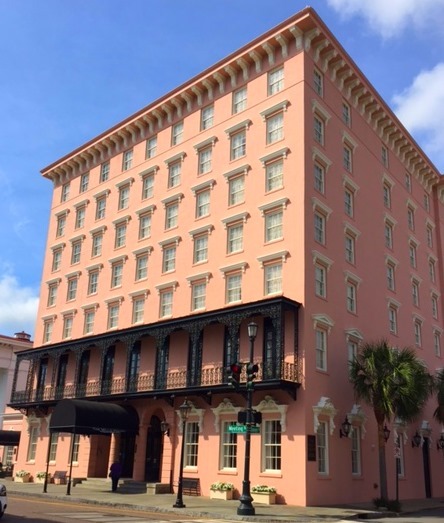 It starts in Mount Pleasant, runs across the bridge, up King Street & then finishes in downtown Charleston on Meeting Street in the heart of the historic district. 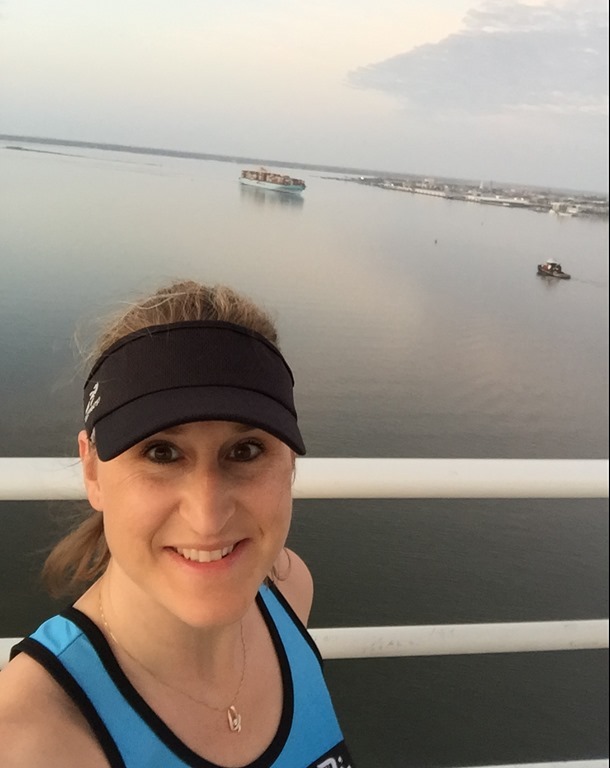 Day 2 – THE bridge run! 2.5 miles each way. Not so easy for this flatlander going up but going down was SWEET! WhoooHoooo! 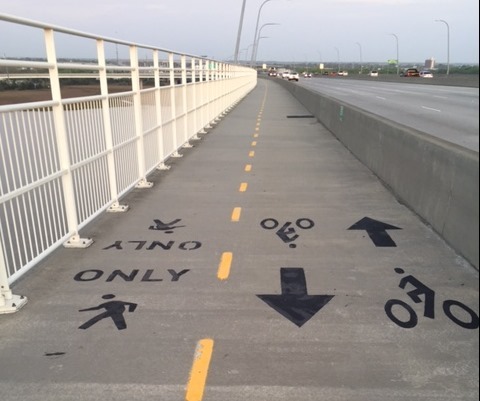 You know there is a lot of foot traffic on a bridge when there are directional signs. Yep. Lots of foot & bike traffic. The view was beautiful on my first trip over. The sun was just starting to come up and it was bright enough for me to see and take photos. However, I wasn’t prepared for how spectacular the view would be on my return trip. The sun was moving higher in the sky and the visual result was amazing. This was definitely a moment when I paused to give thanks for my ability and desire to run. This was one of those “priceless” moments. I’m thankful to be a runner. I’m thankful to be healthy enough to run “most” days. I’m thankful that my will and desire to run actually gets me out of bed when I’d sometimes rather sleep a bit longer. 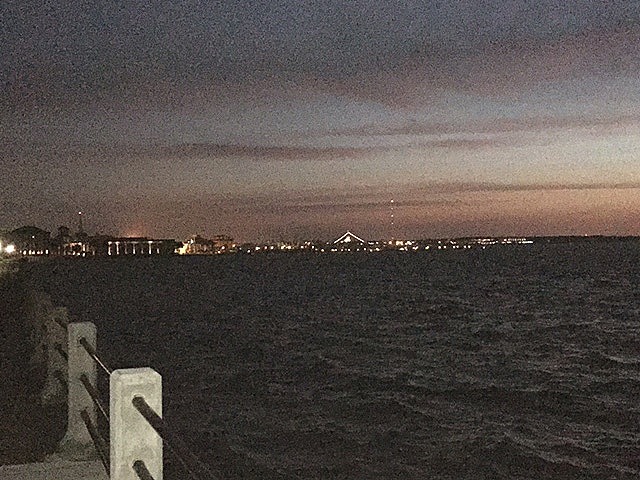 After the bridge run, I took hubby on a drive to Mt Pleasant so he could experience the bridge too. 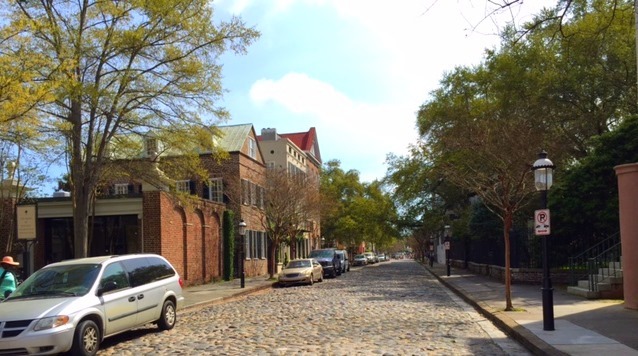 Then we spent the rest of the day in Charleston walking another 12.5 miles while sightseeing & touring. Yeah, my legs & feet were almost tired after 2 days of fun. 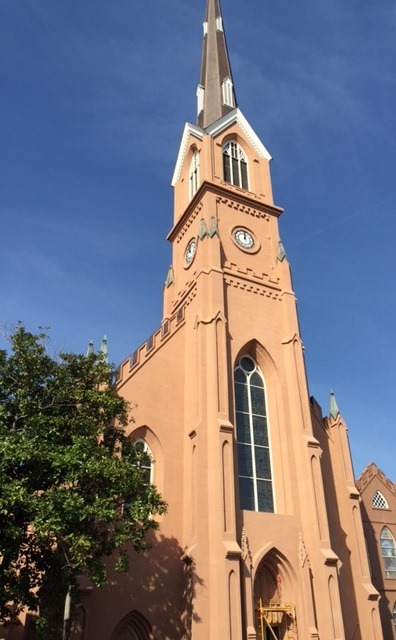 Lots of old churches. 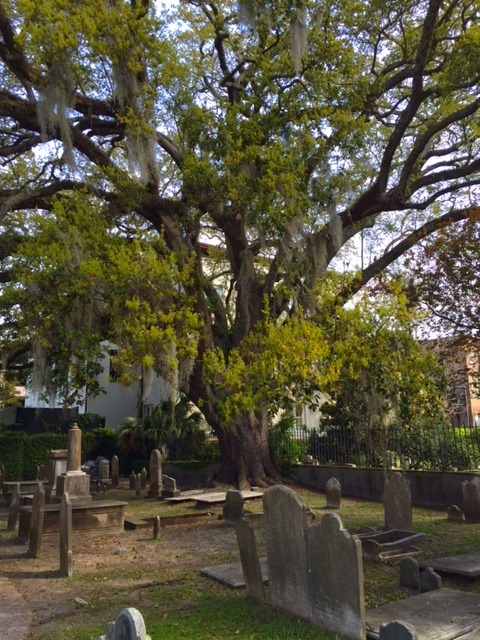 Tons of old graveyards. 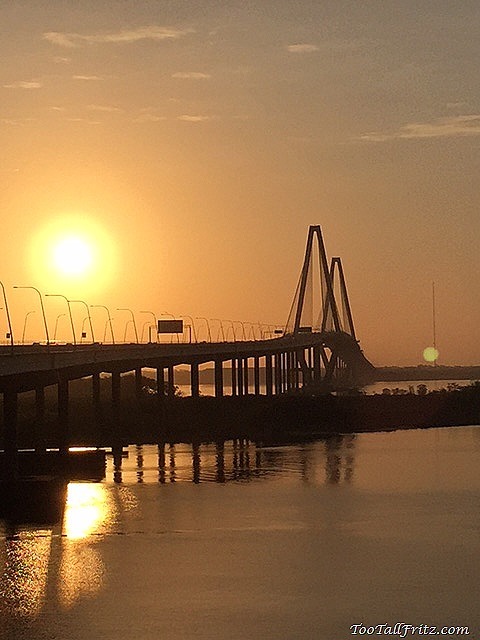 So much history between the various wars in the region, the Navel Station, the Charleston Port which is still one of the largest exporters in the US and the pirates drawn to the area thru the waterways. 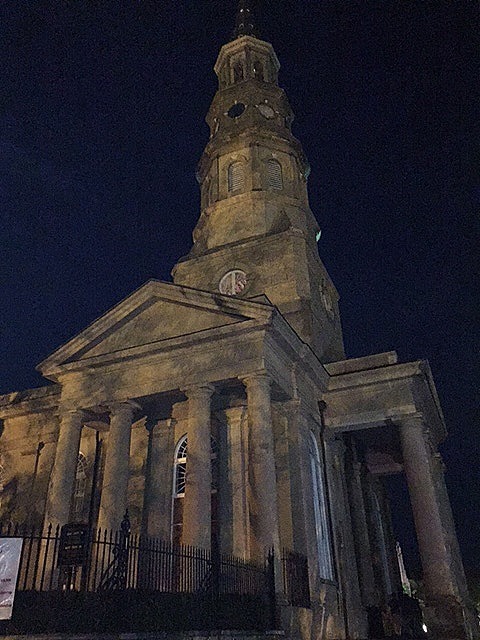 I’m not going to tell you everything about Charleston but you might want to check it out for yourself. Nice area. Rich history. Worth the trip.